last weekend my mom came up to the city to visit my sister's & i. i saw this as the perfect opportunity to put her to work & make some gnocchi for the blog! all she ever wants to do is make homemade pasta. fettuccini, cannellini, gnocchi.. it never ends (ask my dad). 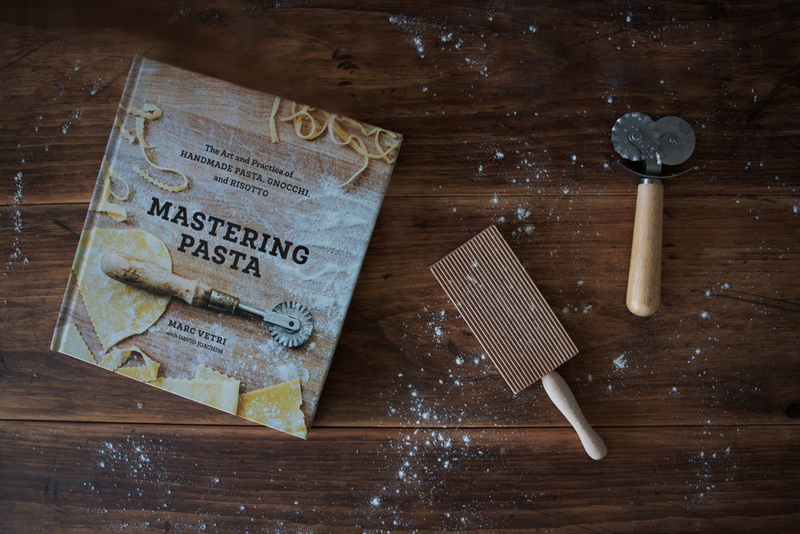 for mother's day i bought her the pictured book "mastering pasta", not that she already hasn't. it is a beautifully photographed book filled with just about every type of Italian pasta dish. while my mom was a little bit impatient with all the photo taking (must be all the espresso consumed prior), i think the pictures & the gnocchi turned out perfect! my sister’s & i can’t stop laughing at how tanned my mom’s hands have become this summer, but we all agree the gnocchi looks THAT much more legit with her dark italian hands. since many of you were asking what the lined paddle is called, it is a "gnocchi board". the old school way of making gnocchi by hand, dumpling by dumpling. these are potato based gnocchi, something my family prefers over the ricotta based ones. serve it with my classic marinara sauce & you will have one impressive italian dish, nonna approved. 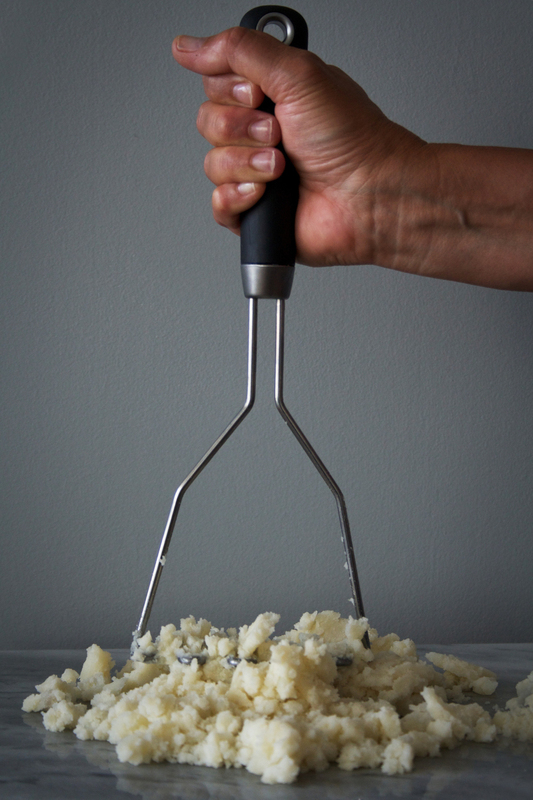 boil the potatoes until fully cooked and mash them while they are still hot. let cool. on a floured surface make a well with the cooled potatoes and flour. crack the egg in the middle. begin to mix. sprinkle with cheese & salt. 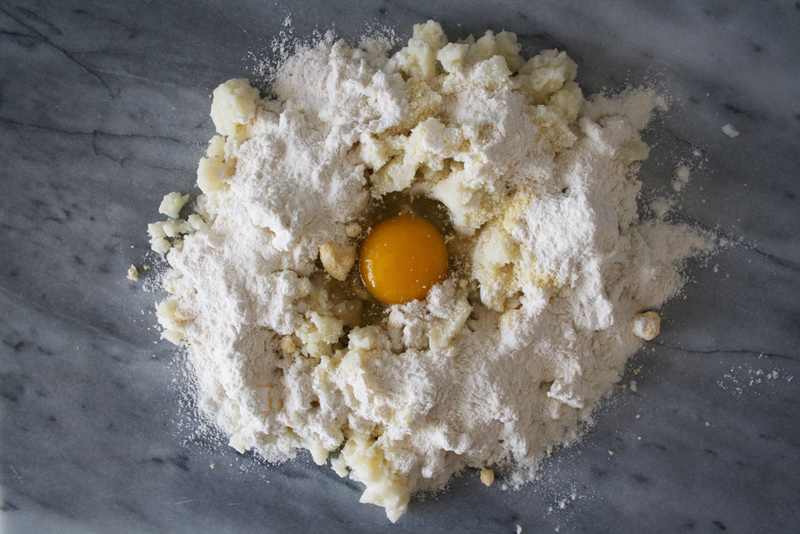 continue to mix well until you have formed a firm ball of dough. if the dough seems soft add more flour (take the flour measurements loosely here, it all depends on the potatoes). wrap in cling wrap & let rest for an hour. once dough has rested break off a piece and roll into a 1/2 inch thick strip. cut into 1 inch size pieces long. 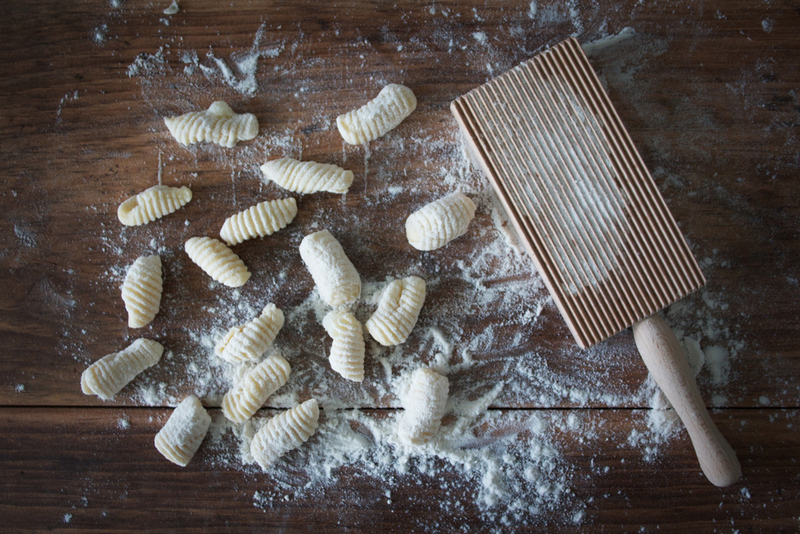 roll the dough down the gnocchi board (or the back of a fork if you do not have the board) to create the lines. 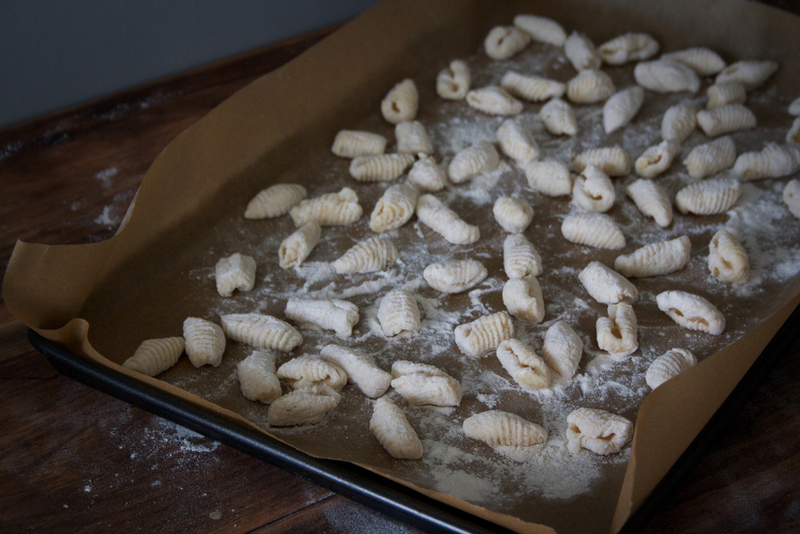 continue to sprinkle with flour as you go so the finished gnocchi do not stick together. once all your gnocchi is complete, boil them in salted water until they begin to float. service with butter & cheese or your favourite marinara sauce. note: if you are not serving them immediately, freeze them on a cookie sheet until they are solid and place in a ziplock bag. the gnocchi will stay fresh in the freezer for months.